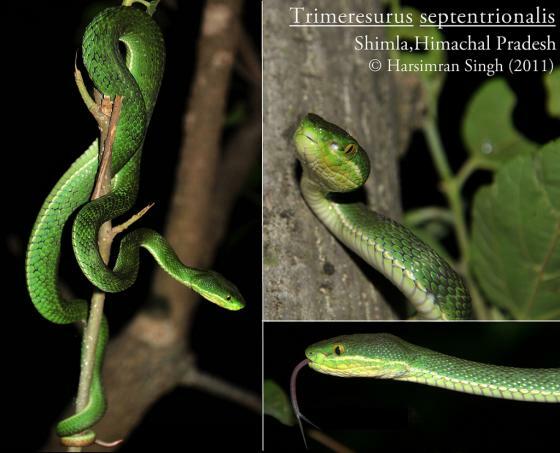 Can you confirm these amateur observations of Trimeresurus septentrionalis? Diagnosis DIAGNOSIS.- Scales in 21 longitudinal rows at midbody; 10-11(12) upper labials, the first fused to the nasal; head scales small, subequal, feebly imbricate, smooth or weakly keeled; supraoculars narrow, undivided, 9-11 interocular scales between them; temporal scales smooth; green above, below, green, yellowish or white below, a faint ventrolateral stripe present in all males, absent in females; end of tail not mottled brown; ventrals: males 162-172, females 160-181; subcaudals: males 68-83, females 55-71, paired; hemipenes without spines. 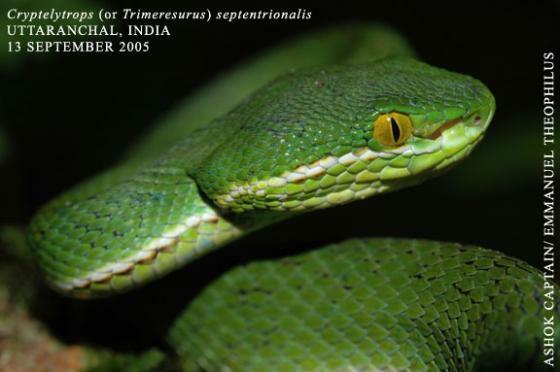 Total length males 610 mm, females 730 [partly based on G. Vogel, pers. comm.]. 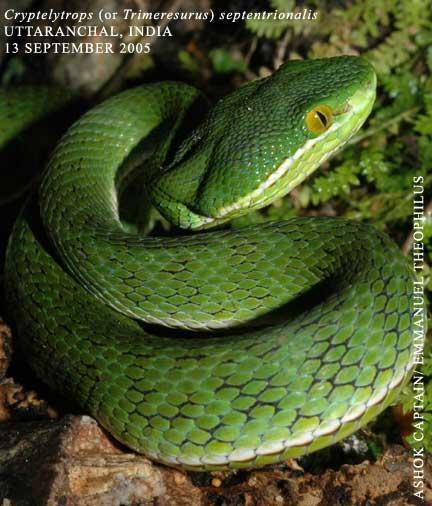 T. septentrionalis has been raised to full species status by GIANNASI et al. (2001) based on RFLPs. I [P.U.] don’t believe that sequence polymorphisms are reliable markers for species boundaries as they are only a very indirect measure of reproductive isolation.